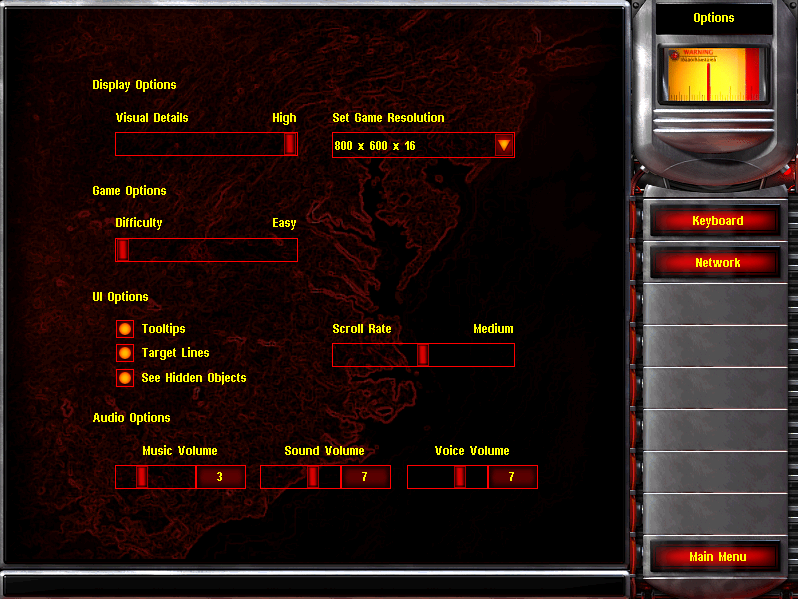 Command & Conquer: Red Alert 2 options screen. current 15:52, 9 May 2013 798 × 599 (279 KB) ThatOneReaper (talk | contribs) Command & Conquer: Red Alert 2 options screen. This page was last edited on 14 October 2014, at 15:07.